Only a few days left when all of us grab the Apple’s new iPhone 5. Although still the next generation’s Smartphone iPhone 5 release date still unconfirmed from the Steve Job’s Apple Inc. but we expect that it obisiouly hit on the market this month. So are you ready to buy an iPhone 5 from online or from the store? Ensure your iPhone 5 preorder when Apple officially launches the online order panel. 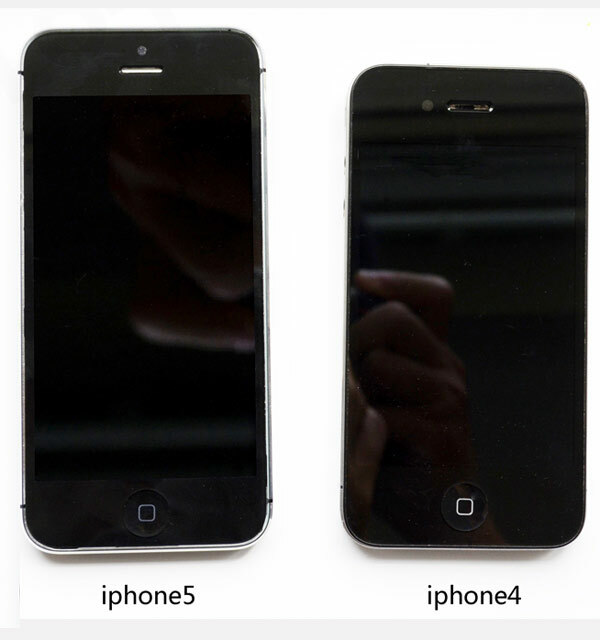 Last week Tech Crunch reports on a new iPhone 5 where they make iPhone 5 v’s iPhone 4S comparisons. Look at the bottom photos where, I think you already noticed, the new iPhone 5 looks completely changed from iPhone 4S. We think it will indicate that the new iPhone will prepare for a large 4-inch display that was never made before by Apple Inc.
We have lots of rumors about the new iPhone 5 but no one can confirm that what will be the iPhone 5 features? We also enlist some iPhone 5 rumored features along with some strong source’s confirmation. You can check the iPhone 5 feature list.